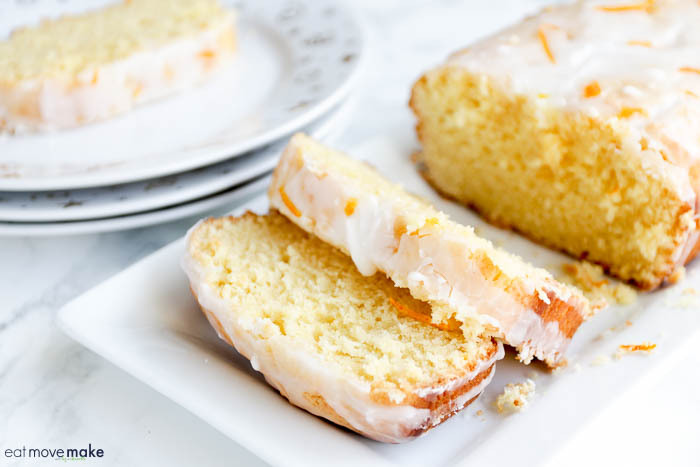 How about an orange-lemon pound cake with citrus cream to celebrate the arrival of Spring? There’s something about citrus-y flavors and the arrival of sunnier and warmer days – they belong together. Especially in this dessert! (And this one. This one too.) I love working with Krusteaz! I’m inspired to try new things all the time with their mixes! 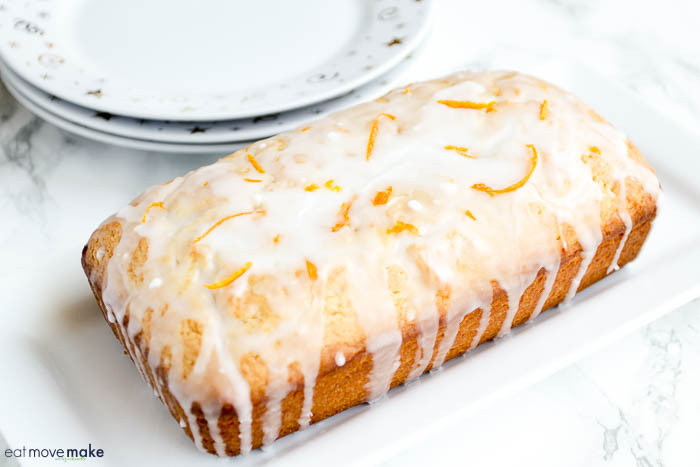 Truthfully, you can’t go wrong when you start with a box of Krusteaz Meyer Lemon Pound Cake, so if you bake that just as directed you’ll be 100% satisfied. However, adding orange to it is like adding sunshine to it, and everyone loves sunshine! Oh my gosh, this is the yummiest pound cake ever. But don’t stop there! 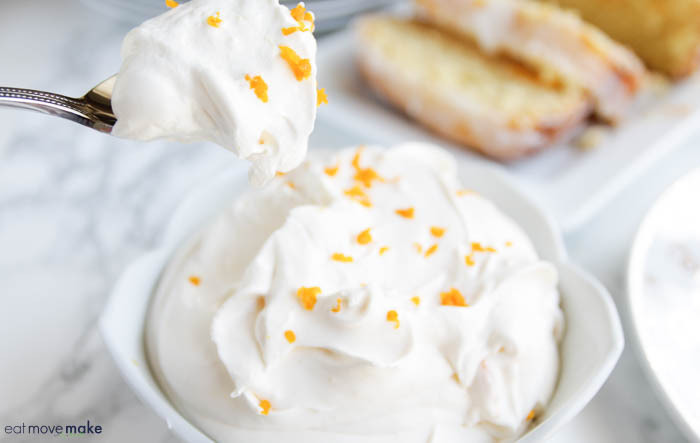 For an extra special touch, add a dollop of cool and refreshing citrus cream. Guys and gals, the citrus cream is like the icing on the cake. It’s so good I want to cry. Springtime has never tasted better. 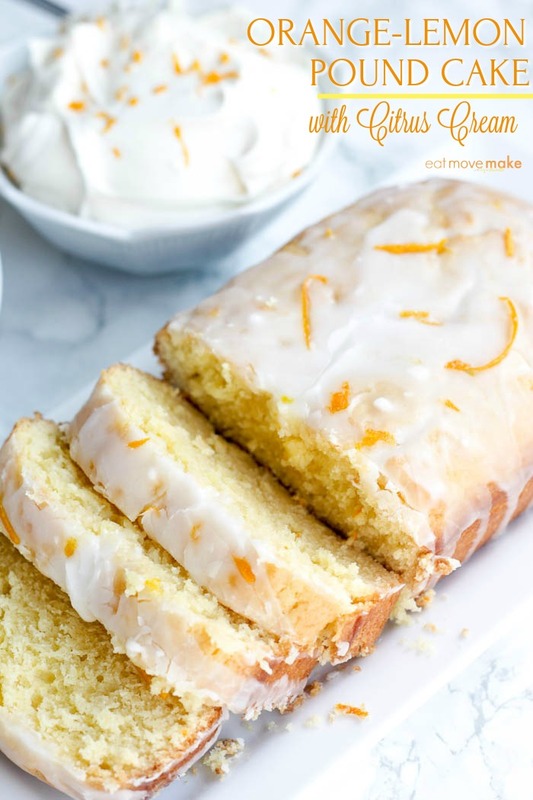 Get the recipe for the orange-lemon pound cake with citrus cream right here. My goodness, this Orange Lemon Cake looks so delicious. I like that it’s made with Citrus Cream. Thanks for the recipe. The looks absolutely devine. I am definitely pinning for later, and cannot WAIT to get around to making this one! this is my favorite flavors, going to try to make this when my folks get here. This recipe for orange lemon pound cake with citrus cream sounds delicious. My only question is if the instant pudding is vanilla flavor that you add the citrus zest to as the recipe just says 3.4 oz package of instant pudding. I would love to try this recipe at some point. This really looks delicious! I’d love to make this for my family. Looks so moist! I love the citrus cream addition. I think that it adds a bit of zip and zing to an otherwise plain poundcake. That’s a great way to celebrate Spring. Love the flavors. Oh boy this looks amazing! I love lemon flavored desserts and I love this has orange flavor too. I love love love pound cake! What a wonderful recipe! I have to try it. I haven’t had pound cake in a long time. This looks so good! I pinned! OMG, that looks amazing. I want a piece now, lol! That looks so delicious and fluffy. I can’t wait to give it a try.